Liverpool overcame the toughest hurdle in the road to winning their maiden Premier League title by securing a comfortable 2-0 win over Chelsea at Anfield. 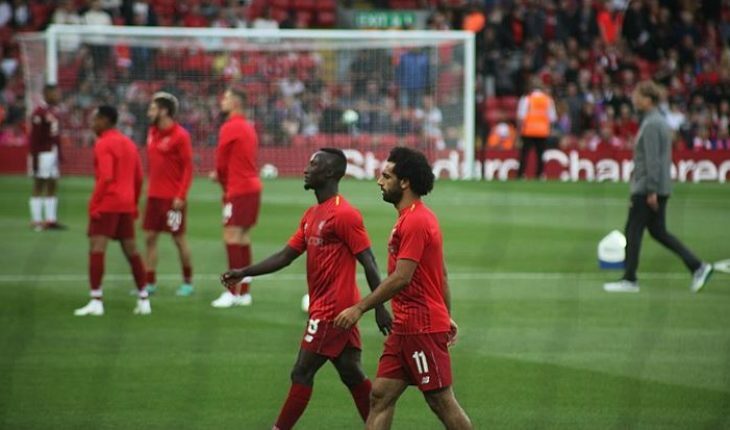 The Reds dominated proceedings throughout the course of the game, but it was Mohamed Salah’s wonderful which stole the spotlight, though Sadio Mane was the one, who scored the all-important opener. Alisson (7/10): Made an all-important save to deny Eden Hazard, which was crucial in preventing Chelsea from clawing their way back into the game. His passing wasn’t as influential, however. Trent Alexander-Arnold (8/10): Showcased his ability to find teammates with his accurate crosses inside the box while the England international also provided excellent attacking support from the right flank. Joel Matip (8/10): Looked comfortable and offered some much needed defensive support to Virgil van Dijk as Liverpool keep their first clean sheet in the Premier League since early March. Virgil van Dijk (8/10): The physical duel between van Dijk and Ruben Loftus-Cheek was intriguing to watch. But, the Dutchman was always in control of his side’s defensive chain and marshalled the backline quite well to keep Chelsea at bay. Andrew Robertson (7.5/10): Not the best of performances for Robertson, who looked at the start. The Scot should have done better in keeping up with Willian, at times, although his performance significantly improved as the game wore on. Fabinho (9.5/10): Arguably the most important in the Liverpool side, Fabinho made a host of excellent challenges, which not only disrupted Chelsea’s flow in midfield but also prevented them from providing any threat from counter-attacks. The Brazilian was also impressive in his overall distribution as Liverpool midfield dominated proceedings throughout the course of the game. Jordan Henderson (9.5/10): Produced an excellent lofted cross to find Sadio Mane for the all-important opener. Aside from that, the England international remained composed and provided Fabinho with additional coverage in midfield, despite operating in a more advanced role. Naby Keita (8/10): Keita is definitely coming back to his former self, albeit at a slow rate as the Guinean international looked quite impressive in finding multiple key passes in the final third. The former Leipzig midfielder’s willingness to take on defenders and break the opposition’s defensive shackles made Liverpool much more potent in midfield. Mohamed Salah (10/10): His exquisite goal to double Liverpool’s lead will be remembered for ages, especially if the Reds do manage to win the title this season. Aside from his goal, however, the Egyptian looked menacing whenever he was on the ball and created multiple scoring opportunities for his team. He rightfully received a huge ovation from the crowd after being replaced by Xherdan Shaqiri later in the second half. Roberto Firmino (8.5/10): Tested Kepa on a couple of occasions but was unfortunately denied in his efforts to find the back of the net. The Brazilian wasn’t as influential as Mane or Salah, but his clever movements and excellent combination play were enough to the bamboozle the Chelsea backline. Sadio Mane (9/10): Caused a lot of trouble from the left-flank with his clever tricks and flicks, which was too much even for the highly experienced Cesar Azpilicueta. The Senegalese international did well to score the opener, and although it was a free header, it broke Chelsea’s defensive shackles. Georginio Wijnaldum (7.5/10): Replaced Keita a few minutes after the hour-mark and offered more energy in the Liverpool midfield. James Milner (NA): Came on for the tiring Henderson in the 77th minute. Xherdan Shaqiri (NA): A last-minute replacement for Salah.